“The structuring when there is one owner of a U.S. property is very different from the structuring where there are multiple owners,” Robert E. Ward, J.D., LL.M., of Ward Chisholm P.C. “So where you have investing collectively, often as a partnership, all of the planning opportunities that we’ve discussed in the white paper and in previous articles – the ability to compute your U.S. income tax, the liability on a net as opposed to a gross basis, the ability to avoid U.S. estate taxation, the ability to get preferential treatment for capital gains realized on the sale of the property – all of those opportunities are still available. “But, there is another layer of complexity and planning that is necessary given the presence of multiple investors,” he cautions. That complexity extends not just to tax issues, says Ward, whose background of expertise includes tax law, business planning, estate planning, international taxation and tax planning and foreign trusts, but to business issues and governance issues as well; because the decision-making process changes as investors die in that type of collective investment environment. The biggest mistake Ward sees investors making is to fail to retain competent counsel, to fail to anticipate changes in circumstances, and to fail to plan for their own success – something that proper succession planning can correct. Do you have questions? Would further assistance be helpful? 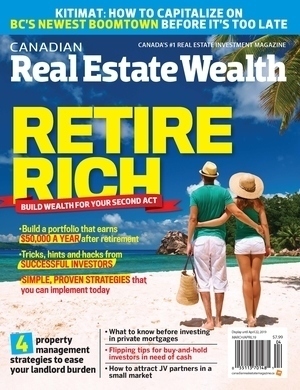 Consultations regarding U.S. tax planning for real estate investments typically are C$1,200. However, through special arrangement with Canadian Real Estate Wealth you can benefit from a one-hour consultation with one of Ward Chisholm’s experienced tax lawyers for only C$600. Please call 301-986-2200 and let the receptionist know that you saw this special offer on the CREW website and would like to arrange a consultation.